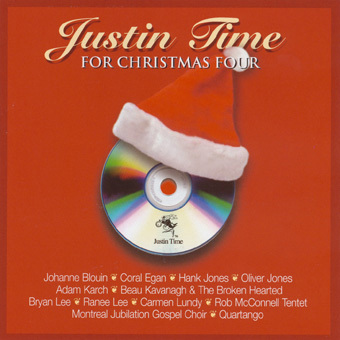 For their fourth collection of Christmas jazz, Justin Time recorded ten new performances and reissued selections from Oliver Jones ("Let It Snow") and the Montreal Jubilation Gospel Choir from 1993-94. The music ranges from piano features to vocal numbers by Carmen Lundy, Coral Egan, Ranee Lee and Johanne Blouin. The biggest change of paces, other than the gospel number, are singer-guitarist Adam Karch's solo blues-oriented performance on "Christmas Prayer," and a rollicking New Orleans R&B rendition of "Rudolph the Red Nosed Reindeer" by Bryan Lee. Despite its diversity, the set holds together well with no throwaways and a great deal of variety. All dozen selections (even the obscurities and originals) will put one in the Christmas spirit.